BMW 4 Series Coupe Interior, Sat Nav, Dashboard | What Car? 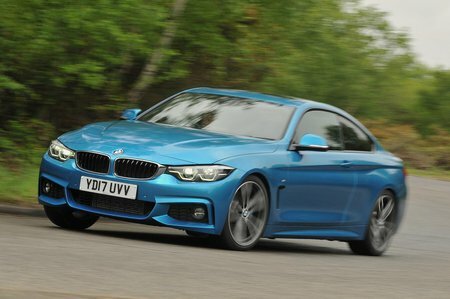 To emphasise the 4 Series' sporty character, its driver’s seat is mounted very low down, so you feel close to the road and more in touch with the car's agile underpinnings. The steering wheel has reach and height adjustment and you can adjust the driver’s seat with a ratchet handle on the side of the seat. High-spec versions come with electric adjustment. Both front seats hold you firmly in place and are supportive, with thickly cushioned bolsters. The only small gripe you might have is with the offset pedals; they are noticeably over to the right, forcing you to sit at a slightly awkward angle. The 4 Series' dashboard will be instantly familiar to any 3 Series driver, with a wide instrument panel and centre console, clear dials and a smart driver’s information screen. Turning the 3 Series into a two-door has made the 4 Series harder to see out of, but the difference between the two cars is nowhere near as big as you might expect. 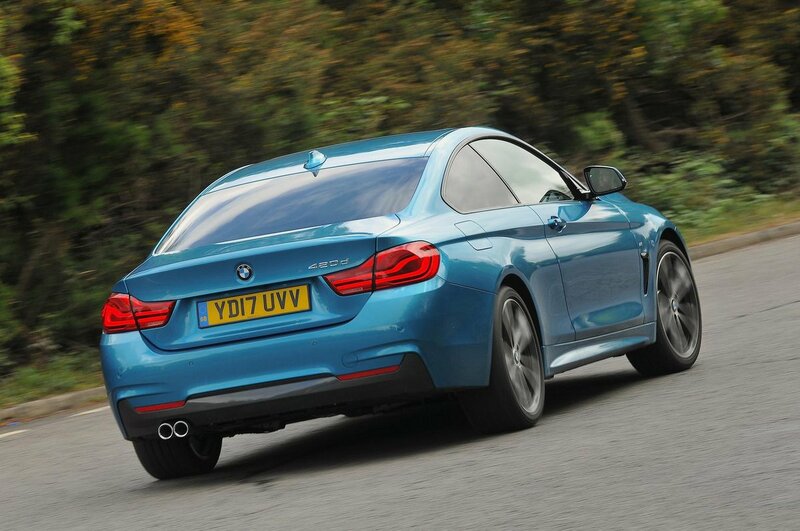 A lower roof, thicker rear pillars and a smaller rear screen make the 4 Series' rear view trickier, but forward visibility is still okay. Parking sensors front and rear are standard on all 4 Series models and a reversing camera is an option. If that’s not enough, you can opt for a bird's-eye-view camera and a self-parking system, too. The 4 Series also offers the option of a head-up display, which projects key driving information onto the windscreen so that you never need to take your eyes off the road. You can pay extra for an auto-dimming rear-view mirror as well. 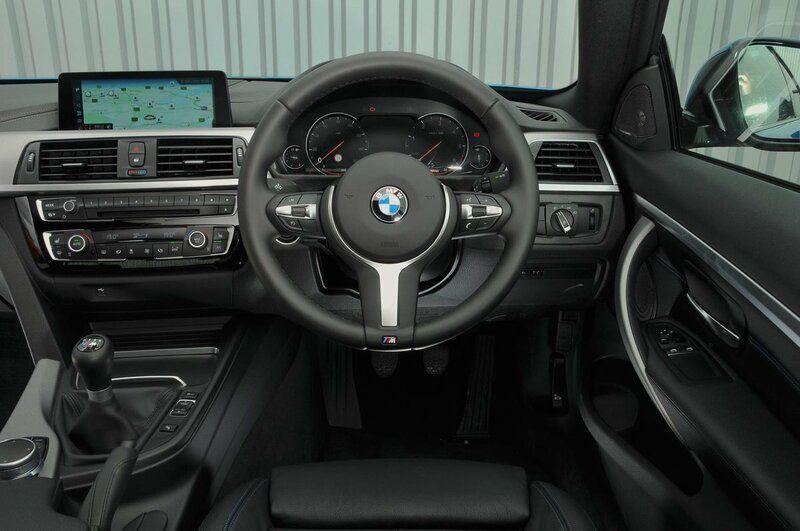 All 4 Series models get sat-nav, a DAB radio, Bluetooth and a USB port, while the steering wheel has audio and phone controls built in. Every car gets the excellent iDrive infotainment system. It’s linked to a 6.5in screen (if you specify Sport trim) and is controlled via a handy rotary dial by the gearstick that's simple to use. And it’s easy to see the screen because it's mounted high up on the dash. You can upgrade the system with optional smartphone mirroring, connected apps and online web browsing services. Opt for the Professional Media Package (standard on M Sport trim) and you’ll get an 8.8in screen, an even greater number of online services and an upgraded sat-nav. The system remains just as easy to navigate and is stuffed with features. While the 4 Series' interior isn't as solid or well finished as the Audi A5's, the materials are still pretty sumptuous, the fit and finish is decent and most of the switches work with a solid and reassuringly positive action. Choosing a higher trim will bring better finishes, including gloss black surrounds on the centre console and sporty red inserts across the dashboard – or you can choose aluminium or carbonfibre trims, if you wish.